fall or winter cocktail hour and/or holiday party. ​​This gorgeous lace and satin dress enhances the figure with the ruched waist detail. The elegant lace sleeves and back show off the sweetheart neckline. 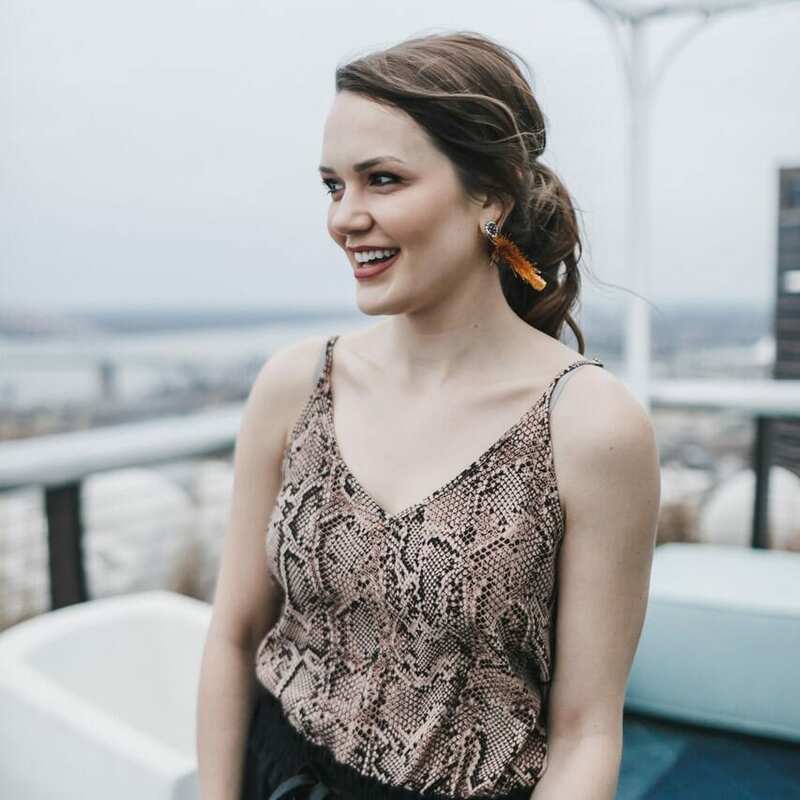 This “Little Black Dress” has a hint of vintage with a lot of class, perfect for any cocktail party whether it be this holiday season or into spring. This is a must have for cocktail hour. Every woman LOVES her heels, but a long night of dancing and caroling will have your feet in a wreck. No worries, Yosi Samra’s fold up flats will come to the rescue and give your feet a rest while on the dance floor. These “Oh, So Cute” flats come with their own carrying case. Just toss these little ladies in your purse and head to the party! A second-generation shoe designer, Yosi Samra grew up in his father’s factory in New York City and spent countless hours absorbing the fine art of shoe-making. So when it came time for him to launch his own eponymous footwear line in 2009, he was more than prepared. Samra was a pioneer designer of what would become the popular fold-up ballet flat movement, elevating the style into one that was just as superior in structure and design as it was comfortable and convenient. ​ ​Featured on The Today Show, not only is this an awesome, quality leather clutch, but it will charge your phone, e-reader, or tablet on the go! Complete with 3 additional plug heads to fit almost all devices, this phone charger will hold 3 days worth of battery so that it is ready when you are in desperate need. Simply plug it in and charge on the go. Check out Alexandra Nicole’s blog post, on the Mighty Purse, to hear about her love of this nifty little clutch. If you are going to party the night away, don’t be caught out with no way to contact your friends for the next meetup spot. 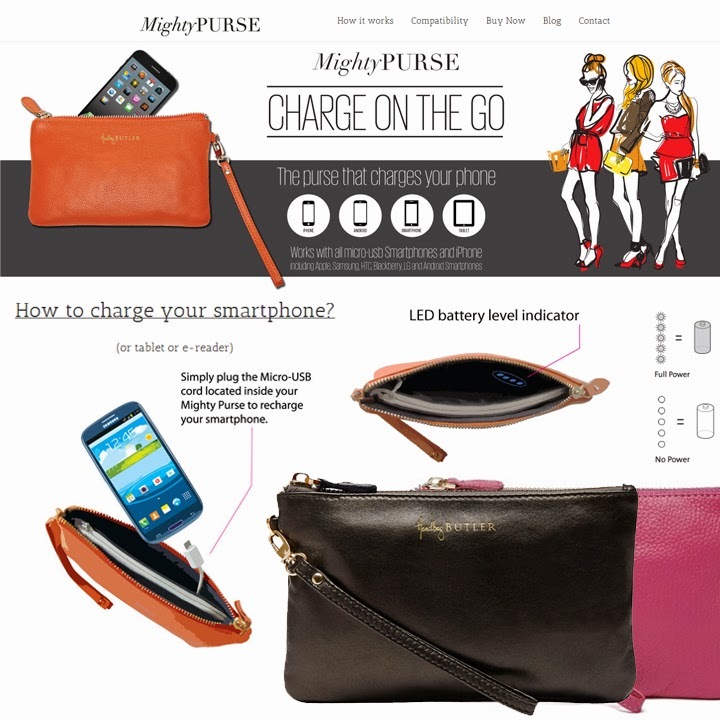 Get your Handbag Butler, Mighty Purse today!